You are having trouble with your eyes. You know you need to be treated. It has to be someone you can trust as your eyes are so precious. Who would you want to help you through this journey? You want a doctor with experience, credentials, skill and empathy. At Harley Place Day Surgery, we have just the doctor in Dr Peter Martin. 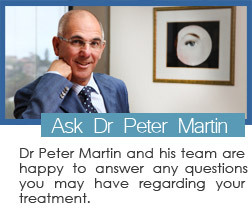 Dr Peter Martin is one of the leading ophthalmic surgeons in Australia with over 30 years of experience. 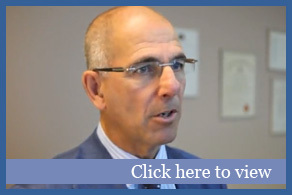 Dr Martin’s knowledge extends from general ophthalmology to the sub-specialty of Oculoplastics which includes facial rejuvenation surgery, orbital and lacrimal disease, eyelid and facial reconstruction and CO2 laser blepharoplasty (eyelid surgery). Due to his reputation in the field of Oculoplastic surgery he is often referred to as “The Eyelid Man” by his peers. He is a consultant at the Sydney Eye Hospital and Head of the Oculoplastic Units at both the Sydney Eye Hospital, the New Children’s Hospital at Westmead and Sydney Children’s Hospital in Randwick. Reconstructive Surgery, The Australian College of Cosmetic Surgery and is a member of the Australian Medical Association. If you want Dr Martin to restore your sight or reinvigorate your look, contact us now at Harley Place Day Surgery and we can use our experience and expertise to give you a lasting result. Contact us for a consultation.